In today’s post, we feature some love from across the pond – and an insider’s look at consulting from an Associate at BCG. This guest post comes to us courtesy of Inside Buzz – make sure you go check out their detailed information on careers in, amongst other things, management consulting. If you want to read more about breaking into BCG, be sure to check out the links at the bottom of our page below. In addition, if you are wondering – 40% of our clientele come from outside the U.S., and the majority of those are in London. We love the U.K. and know the inside scoop on the firms and hiring processes there – so feel free to reach out to us if you have a question. What do you enjoy most about working at BCG? In my view, the 2 best things about working at BCG are the people and the opportunity for personal development. I get to work alongside friendly, bright, and highly motivated people with fascinating backgrounds and interests. In my experience, the average case team is made up of 3 or 4 nationalities, including the individuals who in past lives were entrepreneurs, surgeons, or front line soldiers and now run charities or marathons in their spare time. Despite these achievements, my colleagues are down to earth and go out of their way to help each other. This combination creates a stimulating environment. In addition to hiring great people, BCG has put in place a number of formalized processes to ensure that there are ample opportunities to learn. These include a discussion with your manager at the start of a project to agree upon your development objectives, and a feedback session after each project to identify your development areas. It’s stressful to start a case in a new sector in which you have little (or no) experience, and to know that you have to become credible with senior clients within a short period of time. Fortunately, we can draw on a wide range of industry experts and materials within the firm to help us get up to speed. On the positive side, this pressure helps to ensure a steep learning curve. Does BCG offer a decent work/life balance? As a general rule, yes. Work/life balance is something that BCG proactively monitors and incentivizes. However, the balance does vary according to the characteristics of each project. In my experience, it is generally best on cases with clients and challenges that BCG knows well and that are based in the local office. Shorter projects for demanding clients with urgent needs are more intense, but usually interesting. During quieter periods (often between cases), there is no expectation to put in face time — in fact, you get chastised for it by envious colleagues who are hard at work! At university, I was under the impression that communication skills were of the utmost importance for consultants, given the number of client presentations they had to make. Whilst these formal presentation skills are important, I now believe that being able to communicate clearly and effectively in informal settings, even within a BCG team, are of equal importance to the role. Whilst it can be challenging to adapt to the different styles of managers, team mates, and clients, asking clarifying questions and reaching out for guidance early saves time and energy later. What advice do you have for the BCG interview process? 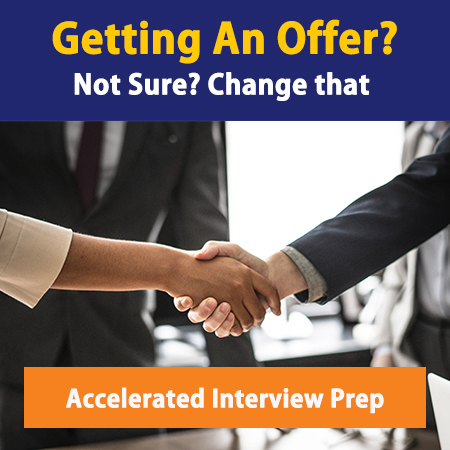 My approach to the interview process was to prepare thoroughly, so that I could be relaxed during the interviews themselves and come across as naturally as possible. As a first step, I would recommend reading the industry guides, blogs and speaking to consultants to get a feel for what consultants do in practice. This helps to ensure that you are credible with the consultant interviewing you (e.g. you broadly know what would be expected of a person in the role you are applying for). Then, you need to focus on how to present yourself and why you want to be a consultant. Whilst this appears to be the most straightforward part of the interview, the trick is to structure the way you describe your experiences, and what you took away from them in a way that is easy to understand. Finally, there are the case studies. I found that I improved at these with practice and that role playing with friends, alternating between the interviewer and interviewee was helpful (you learn in both roles). For more information about working for the Boston Consulting Group in London, including trainee reviews, rankings and interview information, head across to the BCG profile on Inside Buzz or check out more links on MC below. Prepping for a Bain or BCG Interview?